Freshly Grown is an initiative of the Food Water Wellness Foundation that was looking to build a platform to help local farmers direct-market food. But the site couldn't be just another online directory of which there were many yet did not satisfy the needs of local farmers. One differentiation we identified upfront was to help farmers list all distribution points versus just farm locations. This required a website that featured a map and search functions. We were able to identify a Wordpress template that provided just the trick. Another major challenge to this website was flexibility and scalability. The client had plans to scale across Canada and eventually the US. This required some very important upfront planning to ensure that the framework could support rapid growth in an organized fashion. We also needed to address future monetization, which was accomplished by adding a very flexible e-commerce engine that could accommodate centrally sold products and affiliate sales on behalf of farmers. 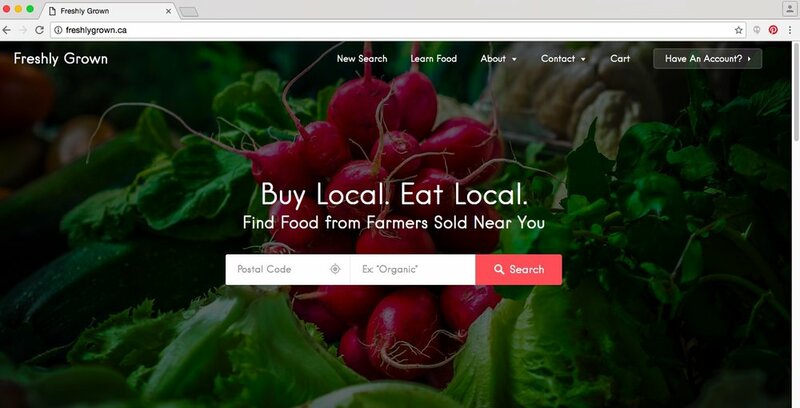 The site even has the ability to allow farmers to open their own online stores. The most important final result, for us and the client, was the scalability of the initial platform. We poured in as many flexible features that the budget allowed so that the Food Water Wellness Foundation can test different strategies and features as necessary. The site began generating immediate revenue as well through e-commerce sales.